I’m LOVING….That the Lord is teaching me to TOTALLY trust Him with everything. And that includes His timing. We closed on our refinance today!! (such a huge blessing because it dropped our payment big time!) We started this process at the end of Feb and JUST CLOSED today- yes, almost 5 months later!! I was eager to capitalize on that 3.625% interest rate, and our appraisal expires TOMORROW. Talk about last possible minute…. I’m LOVING….That Emily is visiting from Valdosta and I get to see her today!!! I’m LOVING….These inspiring pins of things I want plan to make ASAP. I’m LOVING….These quotes I want to remember. I’m LOVING…The memories from our family vacation!!! And of course, I’m LOVING…..that I’m married to my best friend & the man of my dreams. Cheesy or not, it’s true. My friend made me a wreath based on that wreath pin I love it! Arent those peanut butter bites AMAZING! I have them in my fridge AT.ALL.TIMES! 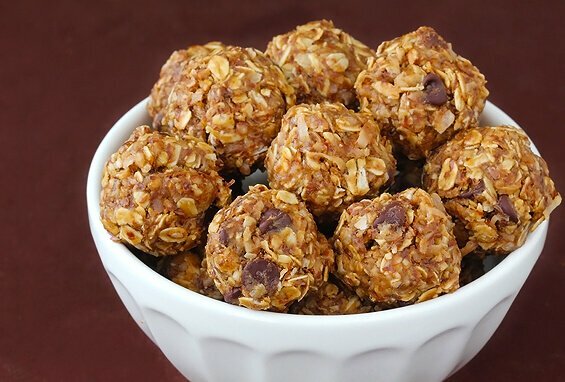 I keep seeing versions of no-bake bites, I need to get on those!! I love Hilton Head. Hope you had a great trip. I had a lot of fun with Emily!! I hope you do too! I love the quotes, especially the one about being happy! I also love the crafts! I've done the coasters and they turned out great, now I wanna try the flower pots! What a cute blog! Found you on skinnyrunner and Im an instant follower! congrats on the re-financing. timing is everything!